Trump spoke Wednesday in oil- and gas-rich Texas at the International Union of Operating Engineers' International Training and Education Center in Crosby. 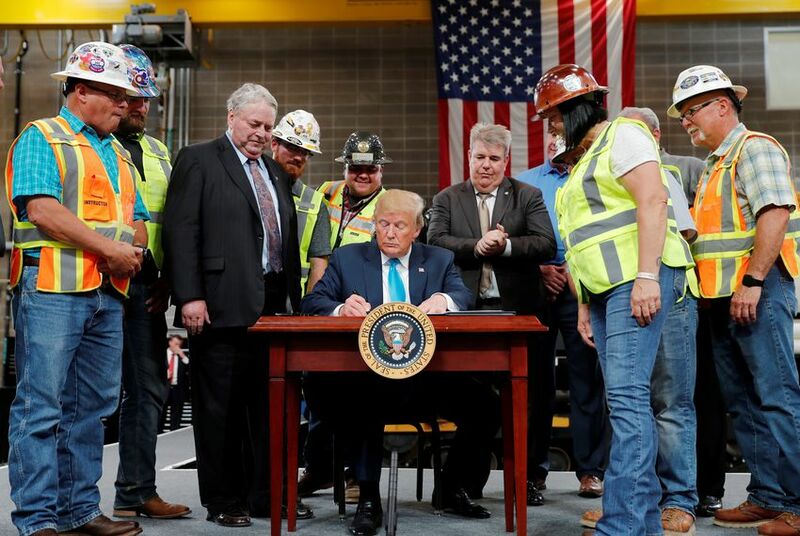 Construction unions have been strong supporters of infrastructure measures, and the president is seeking to boost his support among blue collar workers in advance of the 2020 election. Many of the people who attended the official event were wearing hard hats and construction gear, and the vast majority of voters in Crosby cast their ballots for Trump in 2016.